The Dodgeball Teens is about three teenage siblings playing professional dodgeball and go on various advantures. 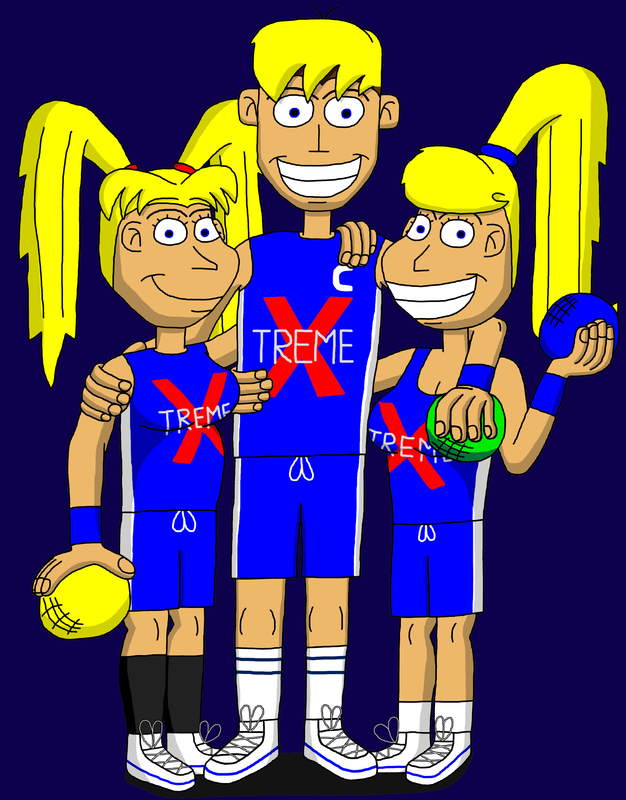 Their team name is called "X-treme" because they think that they're extreme in the game of dodgeball. The siblings are named Max, Jenny and Coco Hardy. All love playing sports, video games and WINNING!!! Max is the main character of the comic and the oldest child in the family. He loves competition and games of all kinds. Jenny is Max's middle sister and she the brains of the group and loves being a geek. Coco is Max's little sister who loves to party a lot and the comedian of the group. Their mother Michelle is a legendary dodgeball player and their coach. Their father David is a obsessed television game show host who always talks in game show slangs no matter what mood.